The debate is on – have your say as to which of these 2 courses are the best – both ranked as Top 100 courses in Europe! Staying at the Sana Hotel in Caldas de Rainha situated around 25kms from both courses gives you the opportunity of real life Portugal. 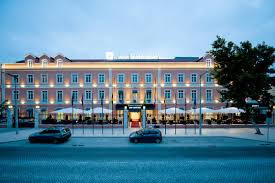 This modern hotel is situated in a neoclassical building, in Caldas da Rainha’s centre. It offers spacious design rooms with dark wood furnishings, rich fabrics and an LCD TV. The air-conditioned rooms at SANA Silver Coast Hotel are decorated with care in neutral tones. 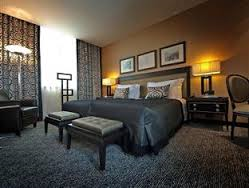 They are soundproofed and comfortably equipped with a chic bathroom with bathtub, shower and hairdryer. The hotel’s terrace offers a charming setting to soak up some sun or read a book. The 24-hour reception is always available to advice guests on nearby attractions. The SANA Silver Coast Hotel’s restaurant offers traditional, Portuguese cuisine. Guests can also enjoy meals al fresco or in the privacy of their room. The café and bar serve regional delicacies and refreshing drinks. SANA Silver Coast Hotel is situated a 15-minute drive from Óbidos and a 45-minute drive from Lisbon. The course layout spanning 6.695m (approx. 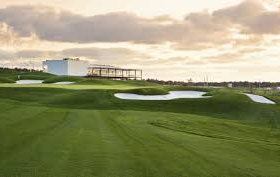 7.300 yards) off the back tees, will represent a true test of golf for players of all levels.The first hole, a generous right handed dogleg, heads north, setting up a spectacular combination of holes overlooking the lagoon (Lagoa de Óbidos). 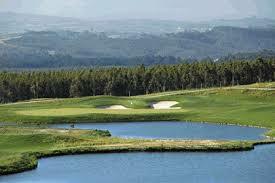 The feature hole of the front nine is the 3rd, a 144m Par 3 off the yellow tees to an island green, with the stunning Óbidos lagoon in the background.The second nine holes overlook the Atlantic Ocean. Six of the holes meander between an intricate ecosystem of lakes interconnected by cascading streams. The highlight of the back nine is the 18th, a 490m Par 5 off the yellow tees, with a panoramic over the back nine, the clubhouse and the Ocean beyond. The clubhouse offers a restaurant with a variety of menus available, two bars, lounge, pro-shop and bags storage area. Sitting out on the generous terrace, owners and visitors to Royal Óbidos will enjoy spectacular views of the golf course and the cascading lakes and streams, ”and some truly wonderful sunsets” over the Atlantic Ocean.